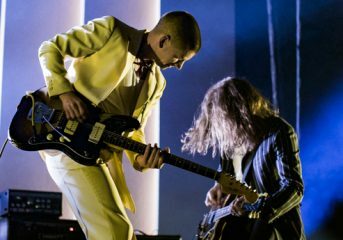 In the nearly five years since Arctic Monkeys released their commercial breakthrough, A.M., the band has done much reinventing, reimagining and reestablishing itself on new album Tranquility Base Hotel + Casino. Exploring a new terrain of piano-dominated melodies, along with spacey synths, while remaining connected to its rock roots, Arctic Monkeys returned in an unexpected, yet fitting way. Early in 2016, frontman Alex Turner was gifted a Steinway Vertegrand piano with which he became enchanted. Album opener “Star Treatment” clarifies a new emphasis on piano as the instrumental centerpiece for the album. Other tracks like the emphatic “One Point Perspective” and the personal “The Ultracheese” also focuses on the piano, with guitar, rhythm and bass play second fiddle to the Steinway. By adding the new instrument, Arctic Monkeys reinvent themselves without venturing too far from their guitar-led signature. The band does, however, include tracks like the guitar-driven “Science Fiction” and “She Looks Like Fun,” which directly harken back to its past reliance on jagged rock. Commanding drumming, deep, echoing bass, and electric guitars riffs are ear candy. The piano does not subvert the band’s sound beyond recognition, but it was a well-designed complement to its already powerful sound. “Science Fiction” is the most reminiscent of 2013’s A.M. due not only to the reverb-heavy drumming alongside a grimey guitar riff, but also in its lyrical narrative about wanting to leave an impact on others. “She Looks Like Fun” also constructs a familiar narrative tone; pieced together haphazardly but with each part eventually coming together cohesively in the style Arctic Monkeys has harnessed over the years. Tracks like the hilariously suggestive “Golden Trunks” display the band’s knack for clear, memorable storytelling and narrative, even if the ideas seem outlandish. The story is about a certain “leader of the free world reminds you of a wrestler wearing tight golden trunks,” seemingly in love with the sound of his own theme song. The running narrative leaves room for an entirely separate but equally compelling story that outlines a pair of lovers who often fantasize about what could have been after their separation. 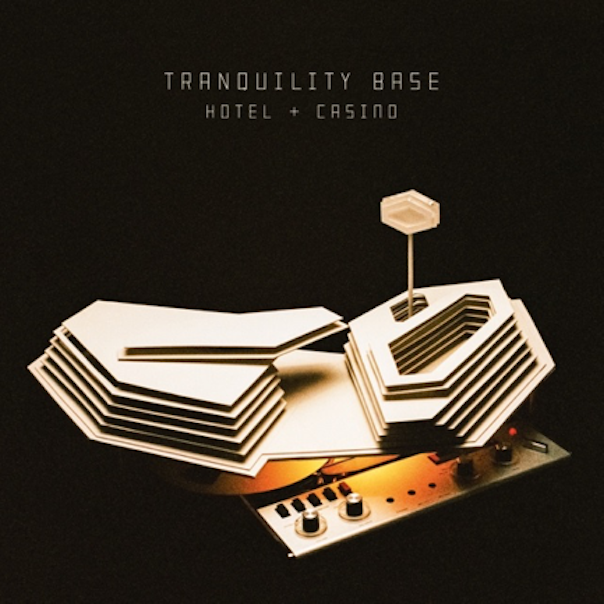 While the sustained hiatus of Arctic Monkeys left fans in the dark for nearly five years, Tranquility Base Hotel + Casino is a great way for the familiar band to make its comeback. As the piano hammers pluck out beautifully simple melodies and the electric guitars return to their commanding riffs, Arctic Monkeys create a singularly strange and wonderful album that captures their amazing musicality and lyricism.